Nothing spruces up a shop-front, office, or home faster than glistening, glass windows. To create an effect that will immediately improve both the look and feel of indoor space, hire a professional Adelaide window cleaning company. TrustedCleaner follows a rigorous formula to make sure only the most trustworthy window cleaning services earn a “Fully-Verified” listing on our website. We are currently in the process of completing the full verification process for Adelaide window cleaners. As the process is rigorous—involving interviews, certification confirmation, and other processes—we ask for your patience while we work to deliver the best possible results. Window Cleaning Adelaide (& surrounding areas) Short-list. Their website isn’t much to look at, but the results from their services are. Stressing “great service at a great price” Green Clean combines competitive pricing with quality, environmentally-friendly cleaning to maintain and grow their customer base. Their window cleaning team will ensure complete client satisfaction on every job, otherwise they’ll provide a full refund, its that simple. Residential, commercial and industrial availability for hire. Taking care of the entire Adelaide region isn’t easy, but Reflections Window Cleaning tries to do the best they can. As a family business, Reflections cares about the environment their clients live and work in. That’s why they use only environmentally biodegradable products on every job. All Glass Window Cleaning is a low-cost cleaner, but the cost of their services does not reflect the effort they bring to the job. 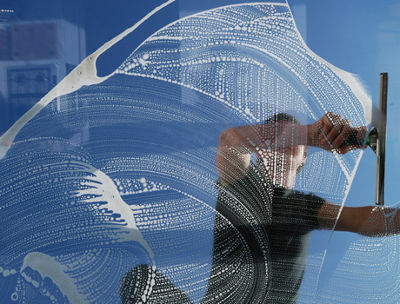 Not only do they fully guarantee and insure their work, but All Glass Window Cleaning Adelaide includes the cleaning of screens, frames, ledges and sills at no additional charge. To top it all off, all of their chemical cleaning solutions are 100% biodegradable. Are you also looking for carpet cleaning, tile and grout, rug, gutter and office cleaning services?